ISTE seems a world away now that summer vacation is here and my days are filled with story hour, diapers, ear infections, and naptime (or lack thereof). But I would be remiss not to reflect on yet another great conference on connecting with my current colleagues, fellow SIGISers, and new educators. 1. I’ve been using the SuperBetter app for a week now and dig it. I look forward to pressing the “I DID THIS” button and getting the happy ding of the achievements. I’ve even set up some of my own Power-Ups and Quests but I haven’t recruited any allies yet. I’m not sure how I’ll measure the long term changes in my behavior, but I’m enjoying the process for now. I’m hoping to pass this on to our support staff as a potential option for struggling students. What about the quiet, mindful, reflective, independent time? I think this is needed in the balance and some people need it more than others. After reading Quiet last summer and identifying myself as an introvert, I guard “me time” as important in my own creativity. Is this another “everything in moderation” type deal? I’m curious about how the zone of proximal development applies to this idea of connecting with people out of your silo. I would think that the cafes of the 1800s were fairly local and culturally homogenous. When we mix in diverse groups, what happens if we’re too different? Does this break down the connections? Hmmm. I don’t have an answer for this. I’m really looking forward to my first day of Intercultural Competency training this August. 3. If I attend ISTE next year, what would be the best format for me? This year I LOVED the keynotes and poster sessions, but I was disappointed by the sessions I attended. What is the value of me going to this conference, year after year? I was thinking that what I would get the most benefit from is four days of concentrated work on an issue at school or a new project. Could I work on that in Portland? Yes, but I wouldn’t have access to the people that I have at ISTE. So maybe it would be a four-day informal get together (i.e. not paid) where a group gets together, and we learn how to build apps or design professional development portfolios or design a parent education series. This could leverage the power of the ISTE community and give me the space and time to work on a project for my school. 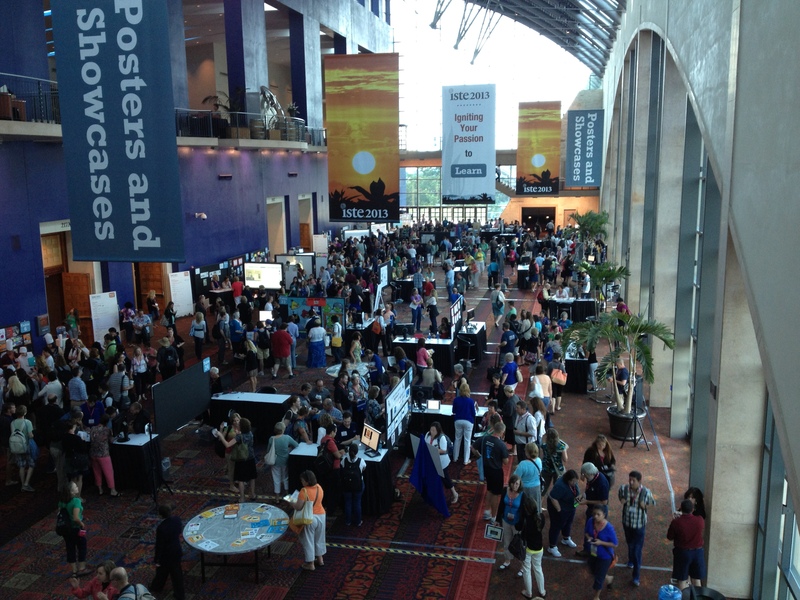 ISTE14 is a long way off… but it could be fun! 4. I’m really excited about the summer of making, sponsored by SIGIS and SIGCT. I’m worried most of my “making” will be from 7pm-midnight after the little one goes to sleep, so I hope I can find the energy for it. My goal is to delve deeper into Scratch, take the 3DGameLab course on how to create an iOS App, and print something on the 3D Printer. Okay, I’ll be happy if I do ONE of these! Be where I am. Done. I feel good about this one. Gaming. 3DGameLab, SimCity. I feel good about this one too. Support. Not sure I got enough of this, but it will come out over the summer. I know some people’s brains were so full by the end they couldn’t process. Sounds like a follow up meeting in August would be good. Reflect. Once this is posted, done!